.......53 Buddhas and Me .................My Life Adventures.....: Esperance Stonehenge ?? Yes you read right Esperance Stonehenge. 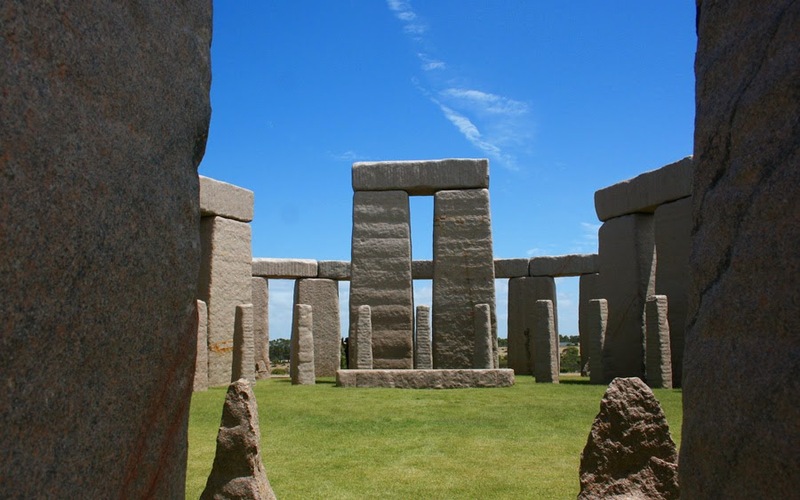 In 2009 the Australasian Granite Company were commissioned to sculpture and complete Stonehenge for a client in Margaret River, WA. After 12 months the project was in trouble due to financial problems for the initial owner. In stepped the now owners Kim and Jillian Beale. With 6weeks of quarrying work to be completed they took on the project with the last stone being place at 3.15pm on 26 October 2011. 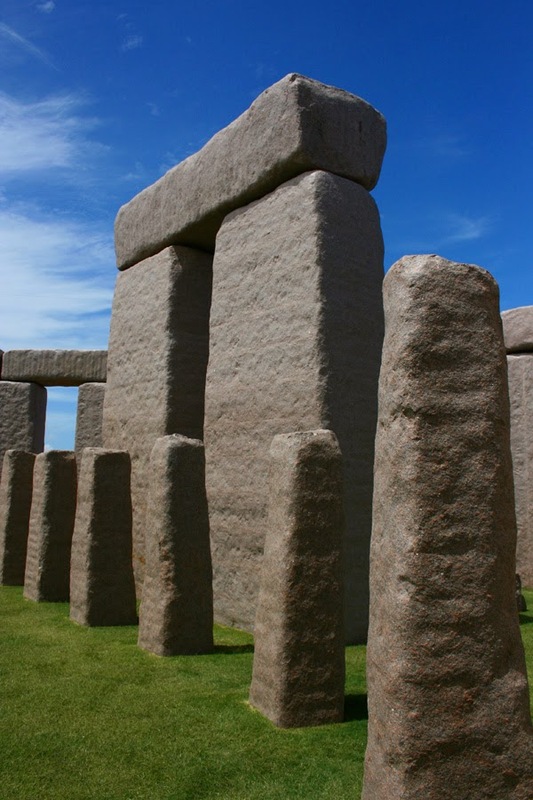 It is a full size replica of the original "Stonehenge" in the UK, as it would have looked around 1950BC. 137 stones of Esperance pink granite quarried adjacent to the Beale's property, in Esperance, WA. 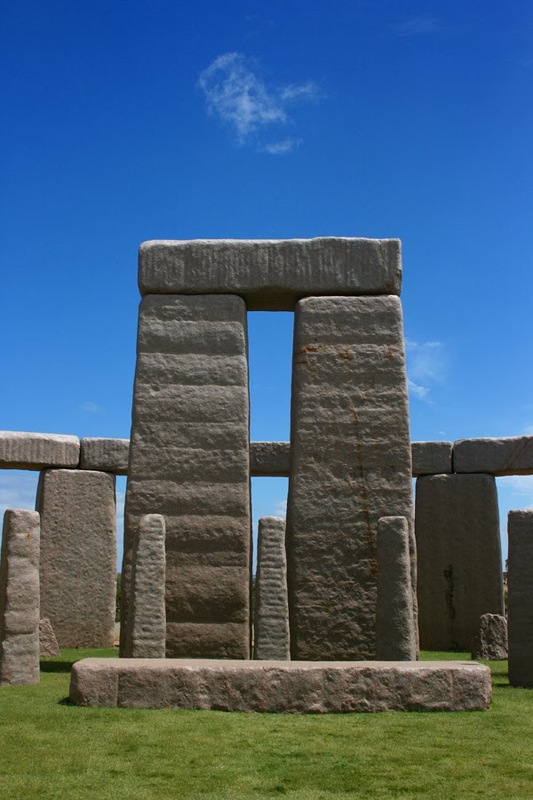 The 10 Trilithon Stones in a horseshoe pattern weigh between 38 - 50 tonnes each, standing with the 18 tonne lintels to a height of 8 metres. 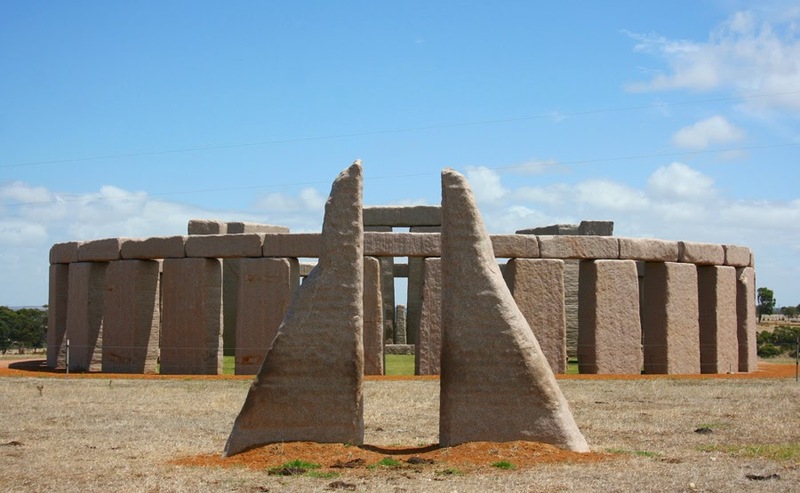 The structure is aligned with the Summer Solstice Sunrise -Esperance time. The Station Stones are positioned on this line to allow the sun rays to pass through to the Altar. The summer solstice is the longest day of the year (22nd December). The sunset on the winter solstice (which is the shortest day of the year - 21 June). This is the same line as the Summer Solstice Sunrise. Prior to actually seeing this replica Stonehenge I thought it might be a bit tacky. But I was definitely wrong and also very pleasantly surprised. This structure is very impressive and has a bit of a spiritual feel about it. I would definitely recommend paying it a visit.